When Do You Experience Leg Cramping In Pregnancy? What Is The Best Way To Relieve Sudden Leg Cramps? Can You Prevent Leg Cramps? Is It Necessary To Visit A Doctor For Leg Cramps? 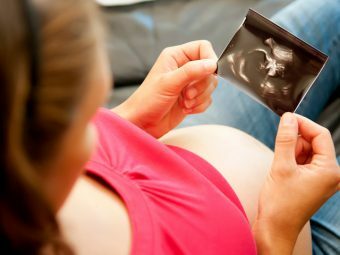 Episodes of discomfort and fatigue are common as you enter the second and third trimesters of pregnancy. When you try sleeping to ward off the tiredness, you might get a sudden muscle spasm disturbing your sleep. And that is a hassle, especially when you already have difficulty sleeping with a growing belly! Leg cramps, although normal during pregnancy, are temporary and can be taken care of. This MomJunction post tells you about leg cramps in pregnancy, ways to deal with them at home and how you can prevent them. Leg cramps can be described as sudden spasms, tightening of muscles, and painful contractions. According to research, they occur in 50% of pregnant women (1). Cramping happens typically at night and usually affects the muscles of the calves, thighs, and feet (2). Muscle spasms can be experienced anytime in the day and night and are more prominent during the second and third trimesters. Spasms that occur at night are termed as nocturnal leg cramps and can disturb your sleep and disrupt your routine. A sudden muscle spasm that appears at the calf is termed as a charley horse (3). Even though temporary, this variety of spasm is quite painful. This usually occurs at night and lasts for a few seconds or minutes. Keep reading to know what causes these sudden spasms of pain. Although the exact cause of leg cramps is not known, doctors speculate that the following factors could be responsible. Weight gain: As your weight increases during pregnancy, pressure on the legs increases. This could be one of the reasons for the sudden and painful leg cramps during pregnancy. Compression of blood vessels: When the veins in your legs do not support blood flow, the blood clots at one place. This results in swelling, skin changes, pain, and cramps. It is not something to worry about as there are ways to get rid of the cramps and pain (4). Muscle fatigue: Too much of physical activity may cause muscle fatigue, which could be responsible for leg cramps (5). Deficiency of minerals: Lack of essential minerals in your diet might cause leg cramps during pregnancy. According to research, the recommended amount of minerals such as magnesium, calcium, and multivitamins can reduce the onset of leg cramps (6). Dehydration: Inadequate water consumption or loss of water from the body while you are pregnant could also be one of the causes of leg cramps (7). Exercise: Too little and too much exercise during pregnancy could cause sudden muscle spasms. Make sure you are walking and stretching enough, but without exerting too much pressure on your lower limbs. Irrespective of the cause, you can get relief for the pain from sudden muscle spasm. Keep your leg straight and point your toes towards up. Rotate your ankle and gently massage the calf. Slowly walk around and stretch your muscles. Eventually, the pain will fade, and your leg feels normal. You could also try some easy home remedies to combat the problem of leg cramps during pregnancy. Although painful, cramping of the legs is not something you need to get stressed about. Instead of rushing to use medicines or other instruments for pain relief, you could try some home remedies to ease the pain. Hot showers and heat pad: Applying heat on the affected muscle will release cramping. Also, it relaxes muscles and reduces pain (8). Cold showers and ice pack: A cold pack on the cramped muscles will reduce inflammation and soreness, thereby treating your pain (8). Epsom salt: Leg cramps could be due to magnesium deficiency, hence soaking your legs in warm water with Epsom salt could be helpful. This remedy eases your muscles and also doubles as a detoxification therapy (9). Gentle massage: Use herbal oils and gently massage your thighs, calves, and feet. It is one of the effective ways to deal with the cramped muscles and the pain associated with it. Apple cider vinegar: It is another simple and effective remedy to reduce the pain and frequency of leg cramps when you are pregnant. Apple cider vinegar contains potassium and other minerals and is also known to balance the fluids in your body. Mix a spoon of it in warm water and drink it once a day for relief (10). Blackstrap molasses: Add a tablespoon of blackstrap molasses to warm milk and consume it daily. It helps in fulfilling your mineral requirements during pregnancy. This could reduce the cramps and pain (11). Chamomile tea: Amino acids from this tea will help relax your muscles and reduce the intensity of leg cramps. Mustard: Rich in acetic acid, yellow mustard will help relieve pain from muscle spasms. You can either eat a spoonful of yellow mustard or keep your legs in warm water infused with a mustard tea bag for some time (11). While these remedies are helpful, one may wonder if there is a way to prevent the spasms entirely. As the root cause of leg cramps or muscle spasms is unknown, preventing the condition might not be possible. However, there are certain ways to reduce the risk of cramps and avoid pain. Stretch your muscles mildly before going to sleep. While walking or exercising, wear proper shoes that fit you well. 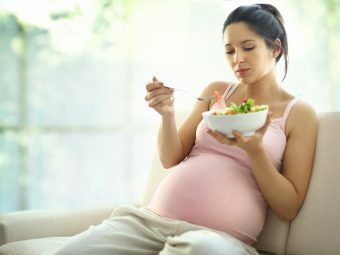 Add healthy food to your pregnancy diet, especially items rich in minerals such as whole grains, green leafy vegetables, legumes, almonds, and fish (12). Stay well hydrated throughout your pregnancy. Do not sit or stand in one position for a long time as it may exert pressure on your muscles and result in spasms. If your doctor permits you to exercise during pregnancy, indulge in light stretching exercises only and not the difficult ones that could be risky at this time. If none of the remedies work, or cramping is interfering with your everyday life, visit the doctor. It is better to get help from a professional if you find the condition is becoming severe and painful. You should also go to a doctor if you notice any redness, inflammation, or warmth along with cramps. Leg cramping is common during pregnancy and usually disappears with time. You can try the home remedies to reduce the frequency of pain that comes with the muscle spasms. Also, eat healthily, drink enough water, and perform light stretching exercises to keep cramps away. Did you experience any leg cramps during pregnancy? How did you treat them? Let us know in the comment section. Pregnancy Hormones- Why Are New Moms So Moody?